So many rumors floating around. Mostly just seems like disgruntled fans and supporters upset over the difficult season. Thoughts from people though. Do you actually think UCLA administration moves on from Sealy for one really bad season when he brought them a title (albeit 7 years ago now)? Do people actually think (or know) of players wanting to transfer out? Many were saying Mosser was going to leave. Any truth to these or just observations from frustrated fans? tell fans who have been increasingly frustrated over the past five years that it is about one year. You are wrong. My "disgruntledness" does not come from this season. With the exception of a team he (mostly) inherited that won the National Championship, his tenure has been a failure. How do I define failure? The inability to regularly make it to the round of 16 in the NCAA tournament. The inability to be RELEVANT in the post season. I think that is a fair method of evaluation. To me a "successful" coach of an historic program in a great college location, once he has HIS players on board, should participate in the Round of 16 at least half the time. Winning the whole thing? That is often a matter of luck of the draw, or a coin flip between two teams of equal quality. So I don't think that is an adequate measure, and the sample size is so small that you can't really judge a program on that. Alternatively, you could propose that a team at a school of UCLA's desirability to athletes should be ranked in the Top 10 at least a third of the time. Or make your own metric that would ask of UCLA to perform within a stone's throw of Stanford, Penn, Texas, Nebraska, Minnesota, USC (prior to Haley's firing of course), Washington (under prior coach). And why has Sealy failed to reach the round of 16 on a consistent basis? 1) He has failed to recruit, coach up, or develop setters. Transfers developed by another coach don't count. 2) He has failed to recruit, coach up, or develop, terminal pin hitters (which in some ways depends on #1 above (transfers don't count... Tabby Love) The only exception to this was Karsta Lowe, who was not Sealy's recruit but he did take part in her development. But that was a LONG time ago. 3) He doesn't exhibit leadership qualities, or, recruit or develop floor leaders to make up for his lack of leadership. This is evidenced by HIS recruits going through the motions for most of the sets in the last five or six games this year. 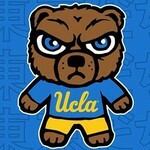 UCLA can do much better than that, and the buck stops at the head coach. So bottom line -- the disgruntledness isn't about this year. It is about seven years of a team fluctuating between irrelevant, OK, and pretty good, but never an impact team over all these years. Maybe Bruin fans thinks their AD is named Lynn Swann and would fire a volleyball coach simply for having one bad year. To be fair, first-time AD Swann didn't fire Mick for having one bad year. He fired him for coming within a couple points of reaching the final four. Karch has been universally praised here on VT for his job with the national team, and has a long and extensive track record evaluating and recruiting 8th grade girls, so I am sure the transition to a college job would be smooth with great support from the fan base (please read that with more than a hint of sarcasm). How do I define failure? The inability to regularly make it to the round of 16 in the NCAA tournament. The inability to be RELEVANT in the post season. I think that is a fair method of evaluation. To me a "successful" coach of an historic program in a great college location, once he has HIS players on board, should participate in the Round of 16 at least half the time. Winning the whole thing? That is often a matter of luck of the draw, or a coin flip between two teams of equal quality. So I don't think that is an adequate measure, and the sample size is so small that you can't really judge a program on that. Um, in 9 years he's made it to the sweet 16 or further 5 times. Even if you want to cut out his championship on some sort of arbitary "his players" rule, he's made it to the sweet 16 4 times out of the last 7. Before this season he'd been in 3 sweet 16s and a final 8! You're defining him as a success by your own terms. His results over 9 years are a championship, a final 8, three sweet 16s, two round of 32s and two complete whiffs. During his tenure UCLA's been probably the 10th or 11th best program in the country. Could they be better? Sure. I wonder if they will play in the other tournament for the top teams that did not make the field of 64. I wish they played that tournament and they winner got invited to the NCAA tournament. Obviously time does not allow for that but it would solve a lot of problems. I failed to write a criterion that is pretty important, so I can see how technically UCLA has met my standard. There is the issue of momentum. When USC fired Larry Smith as football coach, it was about a team going in the wrong direction. If you look at Sealy's teams over those 9 years, they've been going in the wrong direction. And no, I don't count the Championship year because they weren't his recruited and developed players, which is important if you're trying to take what made that team successful and whether he can replicate it going forward. I'm going to take a second to take a look at Sealy's recruits and how he's done with them. Do do that I think I'll start with the 2013 season, at which point most of the starters were Sealy recruits. I'll be back to post. Maybe the NCAA should pick a 68-filed tournament. 60 teams are in. The other 8 play each other in four 1-match playoffs to see who gets in. The downside, of course, is that, for the most part there are about 20 or 25 teams in the tournament that have any real shot of winning the title. The other 40 or so are just fodder. Oops.. I meant to say definitely. Have any school ever employed both the men’s and women’s national team coach at the same time? That would be quite a coup to get Speraw and Kiraly coaching at the same time at the same place. 2014: 22-12, Round of 16, loss to Penn St.
First, I erred in saying the criterion for an acceptable performance for the program should be Sweet 16 at least half the time. In truth I think UCLA should generally be much better than top 16, so I'd like to propose a more appropriate criterion of : Elite 8 at least a third of the time. Does anyone think that is too high a standard for UCLA women's volleyball? It is analogous to my writing about "Top 10 at least a third of the time". Second, if you look at the momentum within the program, you don't like that line of progression. I have taken a look at recruits in the pipeline, and I just don't see how Sealy is getting better at recruiting, or coaching, but in fact worse.